Cincy caravan to the nats? So Jon, Vinny anyone else in the Cincinnati area up for it? i'm going up Saturday afternoon to tomz's place. Could work out a meeting place and time, let me know what you think. I have to miss this years Nats because im in a wedding on Saturday. None of my Turbo Dodge buddies are going anyway because the way the organizers treat the FWD guys, every year its a huge PITA to get them to have a FWD class and they always screw it up. Vinny and myself both live on the east side near each other. I do not know what he is planning, but I would leave around 8 or so, drive the hour up I-71 and over on I-270 to get to I-70. Stay at the nats for a few hours, then head on over to Tom's place by going on route 40 (National Road) through Reynoldsburg to get to Blacklick. Of course going past Brice RD and that sweet JcPenny outlet they have nearby. Eat at Tom's, BS awhile then cruise. Idk if i'm going up to the nats saturday but i'm stay the night up in columbus and probably going to the nats sunday.It a pretty easy and quick trip up so i pry won't be leaving till early afternoon. My plan was to leave in the afternoon and go straight to Tom's. I wasn't planning on going to the Nats itself, just Tom's and the cruise in Heath. I'm only a mile or so from 71 if anyone wants to meet up. Vinny wrote: My plan was to leave in the afternoon and go straight to Tom's. I wasn't planning on going to the Nats itself, just Tom's and the cruise in Heath. Guess I'll see ya at Tom's place. Wonder how many will show this year? It's the 30th year for the Nats, so I feel kinda obligated to see it. 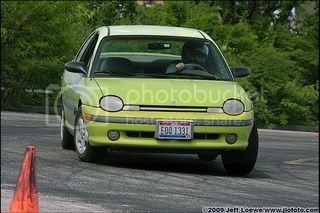 If you see a alpine green on the side of 71 will smoke billowing out from the hood, you'll stop right? You know I think I'm just gonna go up late Friday and see what at brice, camp at my cousins that night and spend all day at the nays and ill see you guy later at tom's. BTW Jon watch Saturday in the parking field next to the nats for red coupe that says "Hi" that will be me. It looks like everyone is going up earlier and hitting up the Nats, the offer stands if anyone wants to meet up. The elusive Diablo0 is in Cincy and we'll be rolling up there in a few hours.